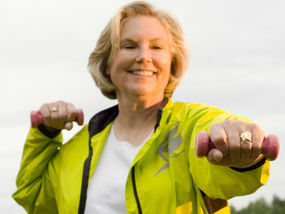 MILLIONS of arthritis sufferers could drastically improve their condition with regular gentle exercise, new research shows. Doctors claim simply doing yoga, pilates or dance just once a week can provide dramatic relief from the agony of the disease.The findings bring hope to millions of Britons who suffer from arthritis which causes painful, stiff joints and can be debilitating.American doctors looked at the effect of weekly exercise classes on 200 osteoarthritis sufferers at the Hospital for Special Surgery (HSS) in New York. They found participants could walk more easily, were less prone to falls or injuries and generally enjoyed a better quality of life after taking the classes. The results support growing evidence that keeping active can vastly improve the lives of people with the condition.